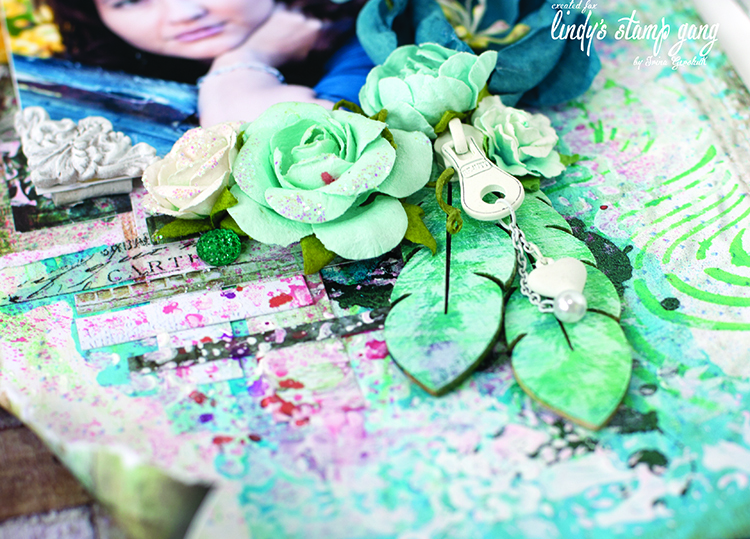 It’s Irina Gerschuk with you today and I’d like to share with you my new projects created for LSG. 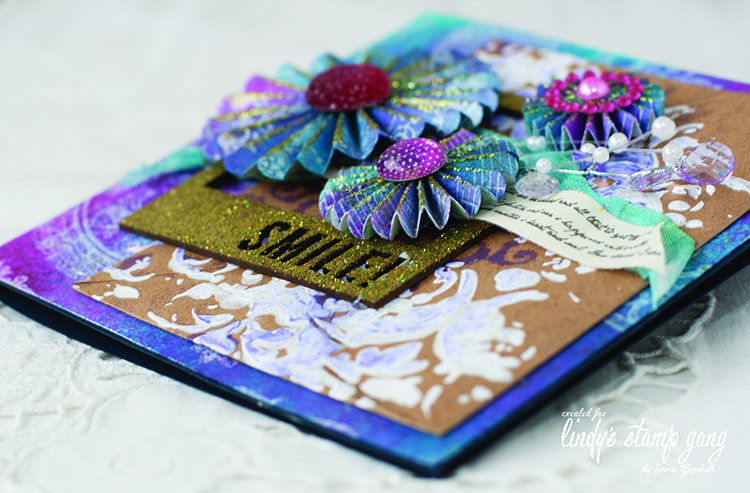 Products used: LSG starburst – Hydrangea Blue, Lucky Shamrock Green, Ramblin’ Rose Pink, Sweet Violet Purple Teal, Canna Lily Burnt Orange; LSG embossing powder – Geranium Coral Blush, Hydrangea Blue Mauve, Midnight Emerald. Paper – 7 Dots Studio “the 9th Wave”. I also used some Imaginarium chipboard, metal and wood embellishments, flowers, wash tape, resin, masks, modeling paste, stamps. I covered the chipboard pieces with the “Geranium Coral Blush” ep. 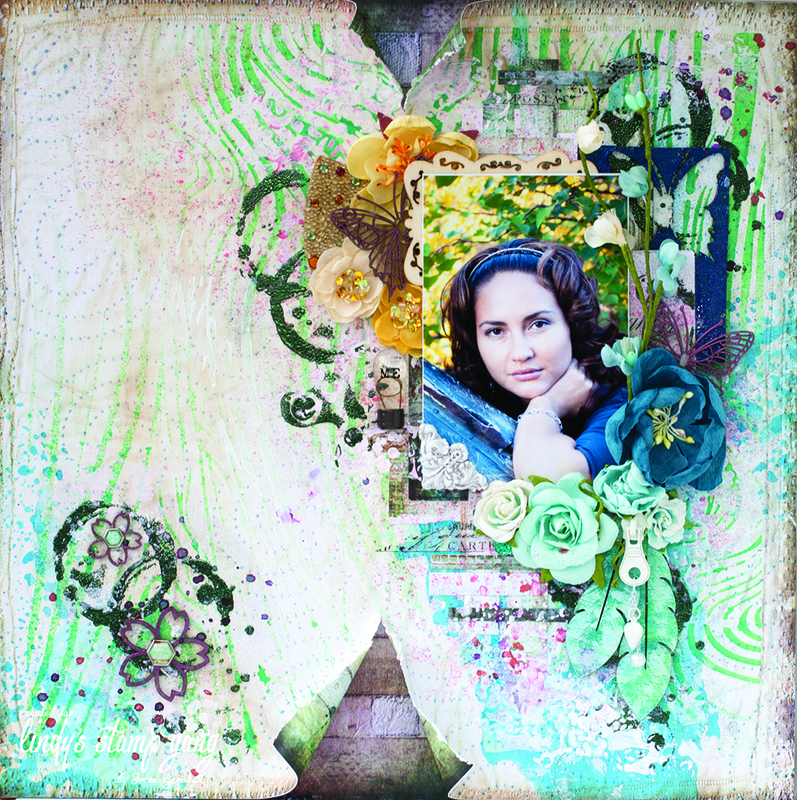 I stamped and embossed the background with “Midnight Emerald” ep. The leftover from the butterfly chipboard was cowered with “Hydrangea Blue Mauve” ep. 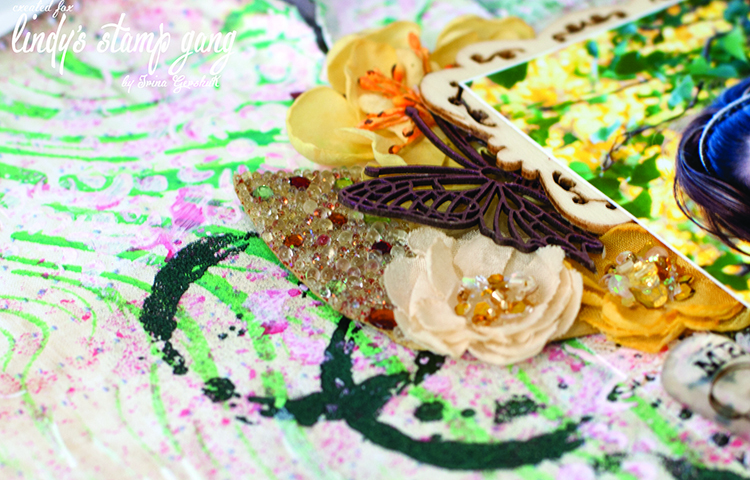 Products used: LSG starbursts – Witch’s Potion Purple, Sweet Violet Purple Teal, Cheshire Cat Cherry, Cotton Candy Pink, Time Travel Teal, TiffanyLou Blue; embossing powder – King Midas Gold; art glitter – Chartreuse. Introducing Cynthialoowho’s “Totally 80’s” Starburst set! Fabulous creations! The colours on the card are gorgeous!